Traffic violations can have serious criminal consequences. In Illinois, if you’re convicted of driving recklessly or under the influence of alcohol, you face fines, license suspension and even jail time. In addition, your car insurance company is likely to raise your rates to an unmanageable level. It is important to realize that you possess the same legal rights in a traffic case as in any other serious crime, including the right to challenge police witnesses. 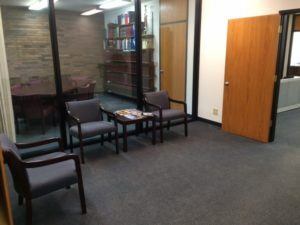 At the Law Offices of Jonathan L. Carbary in Elgin, clients accused of driving offenses receive vigorous representation from an attorney with 40 years of legal experience. Mr. Carbary will thoroughly review your matter and work to avert unjust penalties. Speeding — Excessive speeding is a misdemeanor in Illinois. Whether you are facing this criminal allegation or a standard traffic citation, the firm will protect your rights and work diligently to achieve a positive outcome. License suspensions — Losing your driver’s license might affect your ability to earn a living or care for your family. Mr. Carbary fights against convictions that might lead to a suspension of your license and also assists with license reinstatement proceedings. Reckless driving — In some instances, reckless driving charges are brought after auto accidents or other incidents where a police officer believes that a motorist was willfully disregarding the safety of others. Where warranted, Mr. Carbary develops a complete narrative to provide a more accurate picture of what occurred. Illinois residents who are accused of driving under the influence of alcohol (DUI) have the ability to mount a strong defense, even if their blood alcohol content (BAC) is over the legal limit of .08 percent. Law enforcement authorities often overreach by stopping cars without a reasonable suspicion of criminal misconduct or by arresting motorists without probable cause. Flaws in the testing process can also prejudice the case against you. DUI penalties can be significant, especially if an accident occurs or your BAC is .08 percent or higher, so you need an accomplished lawyer to give you the best chance of a successful outcome. As an accomplished criminal defense attorney, Jonathan Carbary pinpoints and executes creative strategies that other lawyers miss. In a free consultation, he will let you know how he can help in your specific situation. 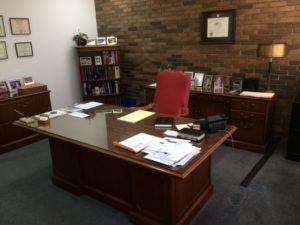 The Law Offices of Jonathan L. Carbary, Ltd. defends Illinois clients in traffic violation cases and other litigation matters. Please call 888-326-2701 or contact the firm online to schedule a free initial consultation at Mr. Carbary’s Elgin office.